Shortly after being sworn in as member of the Snellville City Council, I began writing “Council Confidential”, a section of the CutToThe-Chase.com blog devoted to City Council activities. “Council Confidential” posts are written to provide an insight into the process and reasons behind Council decisions, which are often far more complex than they appear. A few examples of some recent false claims that are circulating: the City is broke, the Council is preventing Wi-Fi from being installed on the Towne Green, the City is going to sue the Summit Chase HOA for Lower Johnson Lake repairs and the Council has blocked installation of “Welcome” signs at entrances to the City. Residents of Snellville should rest easy because all of these claims are false. The City is actually in excellent financial shape, with cash reserves that well exceed the recommended minimums. Every city should have cash on hand to handle emergencies and unexpected events; the figure referenced by many experts in the field is 22-25% of a city’s annual budget. As a result of the Service Delivery Strategy (SDS) settlement with the county, and a carefully crafted budget that eliminated unnecessary and excessive expenses, Snellville has considerably more than 35% in cash reserves. This despite the fact that over the past three years, the millage rate has been reduced one full point. 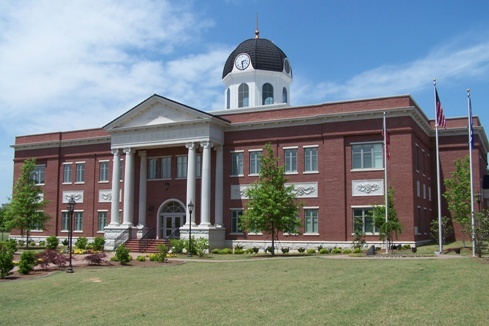 Better yet, during the past year, the value of Snellville’s capital assets increased by $2 million, debt decreased by over $1.8 million, total revenues exceeded the budgeted amount and total expenditures were lower than the budgeted amount. The bottom line is that Snellville began the fiscal year with a balanced budget, took in more money than projected, spent less money than projected and ended the year in better financial condition than it began. City Manager Butch Sanders summed it up stating, “Taken as a whole, the City IMPROVED its financial status by a total of $815,995.23 in FY-13. We continue to only get stronger financially.” (Note: city financial information is a matter of public record, may be reviewed by anyone and is periodically evaluated by an independent auditor. A number of years ago when I visited New York City, I noticed people sitting in Bryant Park (behind the New York Public Library) working on laptop computers that were obviously accessing the internet through the park’s free Wi-Fi service. Watching the people enjoying internet access on a warm summer evening, it struck me that offering Wi-Fi on Snellville’s Towne Green would be an excellent idea. But it didn’t strike me as a particularly good idea to follow another council member’s recommendation to spend over $10,000 for a Wi-Fi installation. Several other Council members agreed that the $10,000+ figure was excessive. Subsequently, that opinion was found to be correct. City Manager Butch Sanders did some research and determined that a suitable system would cost less than $3,000. A little more research turned up the fact that the Wi-Fi system could be combined with a new security camera system that’s scheduled to be installed– at essentially no cost. So the Council wasn’t standing in the way of a Wi-Fi installation, it was simply attempting to get it done at the lowest possible cost. Wi-Fi is coming to the Green at almost zero cost to taxpayers. Attractive, well-designed “Welcome to Snellville” signs would be a definite asset to the city. However, a formal, detailed proposal and budget for “Welcome” signs has never been brought before the Council. What was proposed was literally a last minute $50,000 “friendly amendment” to the city’s annual budget. Without ever having been discussed or even mentioned previously, that proposal was made immediately before the call for a vote to approve the budget during a Council meeting. As far as I know, all members of Council agree that “Welcome” signs are a good idea. However, asking for a $50,000 increase in the budget (which has to be offset by a $50,000 increase in revenue) is fiscally irresponsible and would have placed an unnecessary and unjustified burden on taxpayers. Repair of the Lower Johnson Lake dam in Summit Chase is a story in itself. But it was a “done deal” several months ago. The Council approved an agreement wherein the City committed to pay for repair of the drain pipe beneath the city road that crosses the dam, and the Summit Chase HOA committed to pay for repair of the stand pipe which will allow the lake to be restored. As a result of efforts put forth by a majority of Council members, the contractor who was responsible for the original damage agreed to cover much of the expense and the final cost of repairs was less than half of the original estimate. Instead of the original $95,000+ estimate, the City paid $34,800 for drain pipe repairs and the HOA paid $7,000 for standpipe repairs. At this point, the actual repair work is almost completed and no additional expenses are under consideration. In all of these instances, as with numerous others, the real issue is excessive and unjustified cost to taxpayers. Although some of the false claims that are circulating are the result of misunderstanding, others are typical “election season” falsehoods. That being the case, the manner and transparency with which taxpayer funds will be handled in the future is the core issue of the upcoming election. As a current Council member and former Planning Commissioner, I have researched and observed the character and integrity of the candidates, their vision for the city and their concern with fiscal responsibility. They share my philosophy that government should put the interests of taxpayers first, just as a successful business puts the interests of its customers and stockholders first. As a city taxpayer, I want Council members who are dedicated to improving the city and delivering maximum value for my tax dollars. Consequently, from both Council member and individual taxpayer perspectives, Barbara Bender, Bobby Howard and Tom Witts are the candidates who will best serve the City. All are long time residents of the City who have a history of service to the City and its citizens. I encourage you to ignore the gossip and false claims, and look at the actual record of each candidate. After you do, I’m confident you’ll reach the same conclusion.